Every girl wants the “lit-from-within” glow on her face. A glowing complexion radiates health, happiness, and youth. And the easiest way to have a youthful and dewy complexion is by using a highlighter. When you want to accentuate your cheekbones or refine your dull complexion, you immediately reach for the tube or compact of highlighter hidden deep within your makeup kit. A highlighter attracts light and creates an illusion of brightness and height. Highlighting, contouring, strobing or baking – nothing can be done without a highlighter. Many beauty trends come and go, but guess what? Three-dimensional, sculpted cheekbones will never go out of fashion! With so many options available in the market due to the recent explosion in highlighting, it is easy to get confused about which ones to buy. Also, these highlighters aren’t exactly economical. And you have to wonder whether it’s worth spending big bucks on products that may contain chemical ingredients that are harmful to your skin. 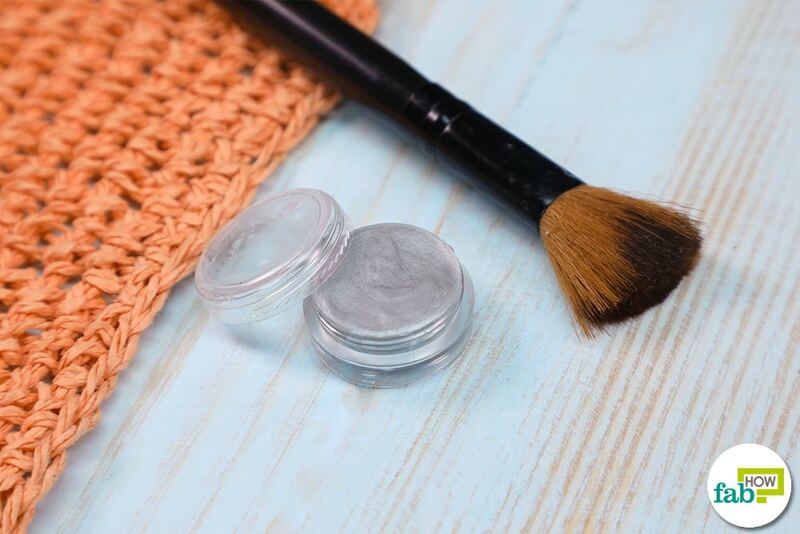 We have here two best homemade face highlighter recipes for your favorite beauty secret weapon that will minimize dark circles, decrease the look of wrinkles and perk up your face! The key to having a naturally sun-kissed look isn’t just the highlighter itself; rather it is what the highlighter contains. 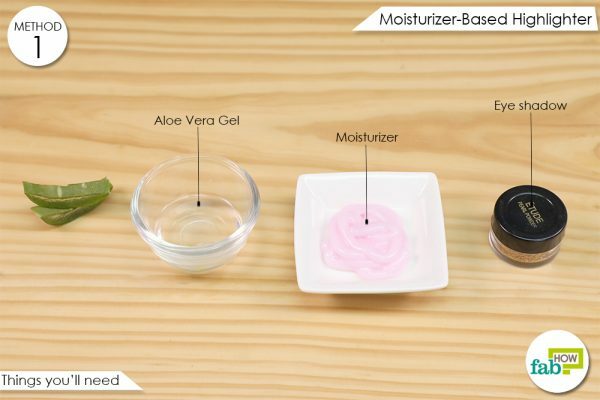 A good moisturizer leaves your skin looking nourished and healthy. A moisturizer designed to keep your skin moisturized all day helps create an awe-inducing glow when it is used as a base in a highlighter. While a bad moisturizer can make your skin look shiny in all the wrong places, when you use that very same moisturizer sparingly on the high points (as in the case of your highlighter), your face suddenly gets the glow-from-within look. This homemade face highlighter recipe also includes aloe vera gel, which is also known as the “fountain of youth” because of its wide range of beauty benefits. It is often a key ingredient in cosmetic and skin care products because of its amazing mineral and antioxidant content. It is the perfect nutrient-packed base to combat fine lines, wrinkles and overall loss of skin elasticity. Its moisturizing properties are perfect for all skin types. Pump 4 or 5 squirts of moisturizer into a bowl. Add 1 teaspoon of aloe vera gel to it. Mix all the ingredients well with a spatula. Transfer the mixture to a small container. 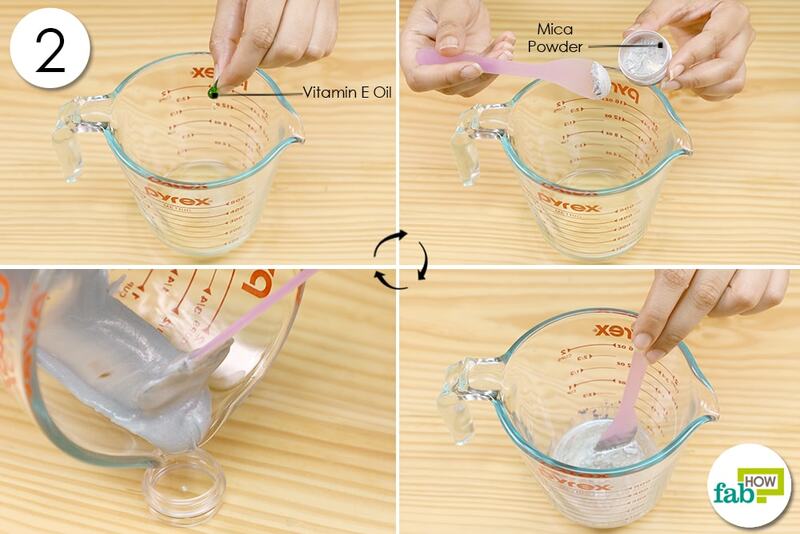 Store this homemade face highlighter in a cool, dry place for up to 2 months. 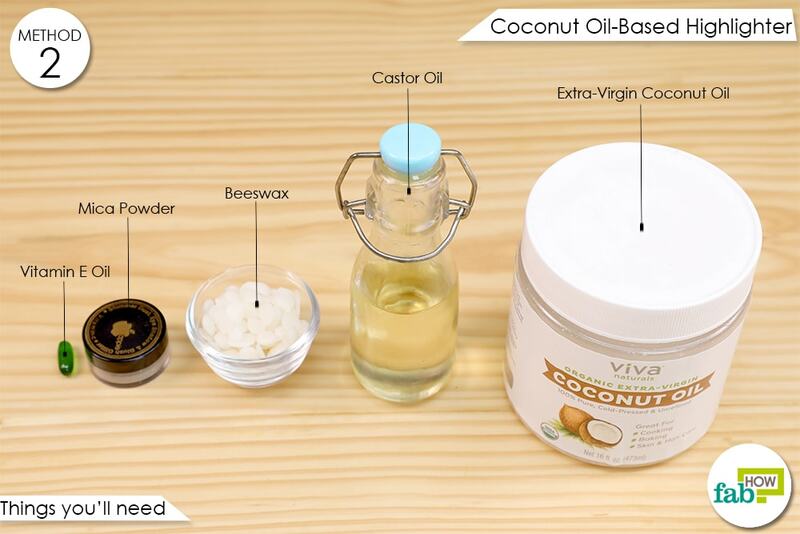 Coconut oil is the secret to the dewy-looking skin. It is an inexpensive way to recreate a youthful, fresh look. 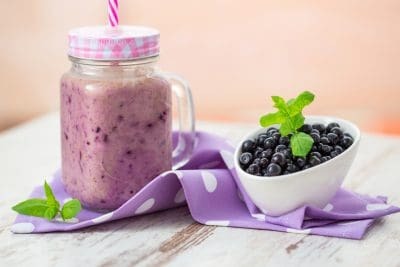 Its many benefits include reducing wrinkles and fine lines, preventing free radicals from causing damage by penetrating the skin layers and hydrating the skin. And what’s more is that it will not clog your pores either! Also, coconut oil’s antibacterial property will keep your formula fresh. Vitamin E oil used in this highlighter nourishes the skin and reverses signs of aging. It boosts the production of collagen that is responsible for maintaining skin elasticity. It thereby reduces the chances of fine lines and wrinkles. It lightens dark spots because it is a rich source of free-radical-fighting antioxidants (free radicals are the cause of dark spots). Castor oil used in this highlighter helps soothe your skin and restore its youthful appearance. It helps reduce wrinkles and moisturizes your skin. Beeswax helps thicken the highlighter because it is solid at room temperature and has a relatively high melting point. It is especially helpful in this recipe because we are using coconut oil, which has a low melting point. When beeswax is used in highlighter, it creates a barrier that seals moisture into the skin. It also protects the skin from environmental toxins and irritants. However, beeswax does not suffocate the skin; rather it allows it to breathe while providing a protective layer. Put 2 tablespoons of beeswax in a heat-safe jar. Microwave it in 30-second bursts until the wax is fully melted. Remove the jar carefully from the microwave. Add 1 tablespoon of coconut oil to the molten beeswax. Add 1 tablespoon of castor oil as well. 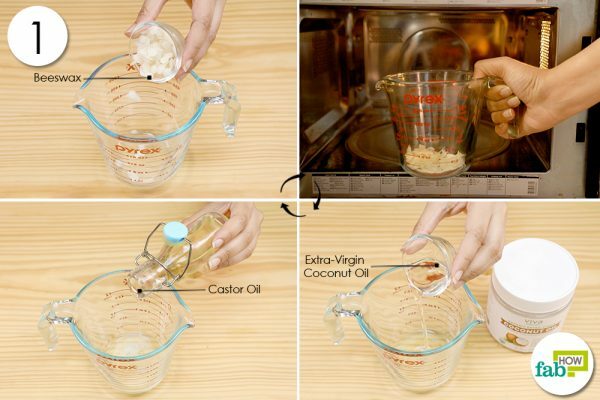 Squeeze 5 or 6 drops of vitamin E oil into the mixture. Add 2 teaspoons of mica powder to the jar as well. Mix all the contents well with a spatula. 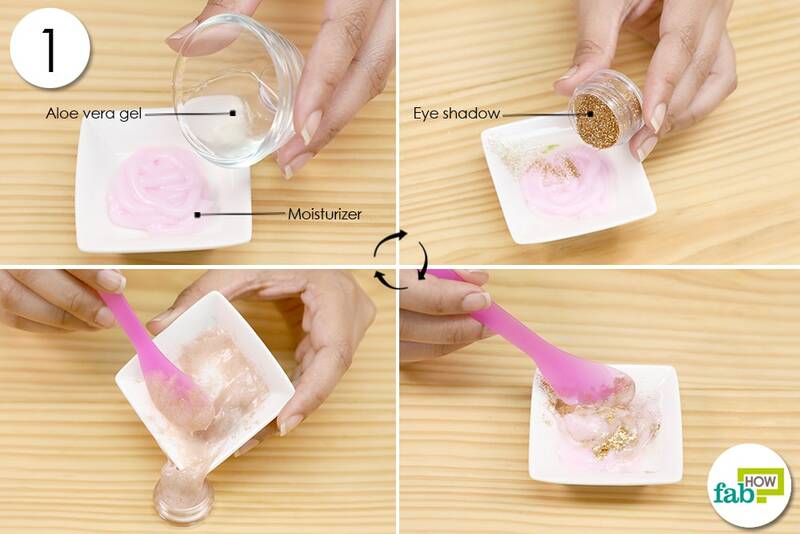 You can store this homemade face highlighter in a cool and dry place for up to 6 months. 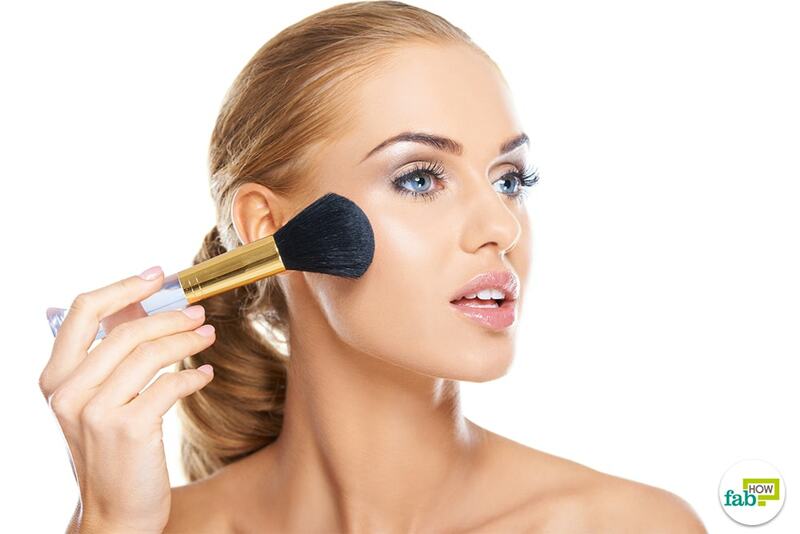 Apply a makeup foundation on your face for an even surface. With a light concealer, select the areas that you want to highlight and blend. Apply the highlighter on your cheekbones, eyes, nose, and lips. Rub the product gently with your fingertips to avoid any concentrated spots. 2. Highlighters and Illuminators are different items. A highlighter goes on top of your foundation. It helps highlight certain features after your complexion is done. An illuminator is something you add to your foundation or moisturizer to give your skin an all-around glow. 3. Ideal places to highlight are below the arch of the brows, the inner corners of the eyes, the bridge of your nose just between your eyes, the high points of your cheeks and right above the Cupid’s bow on your lips. 4. For a natural glow, always apply a bit of highlighter on the corners of your forehead and chin. 5. To find the protruding parts of your face to highlight, go along the bone structure. Start from the protruding areas and blend well. Stand in front of a window and observe your face with natural light falling on it. The parts of your face that reflect light the most is where you want to apply the highlighter. 6. When highlighting the nose, start along the nasal bone and blend it toward the tip of your nose. Don’t apply it directly on the tip; otherwise, it will look too shiny and greasy. 7. Avoid using glittery highlighters. You want a natural dewy and glowing look. 8. You can highlight your face even if you want a no-makeup look. With so many cosmetic products available, it can be confusing to know which order to apply the products on your face. But don’t worry, below we have outlined the specific order that needs to be followed while applying cosmetic products. You can also go for homemade makeup with natural ingredients. 1. Moisturizer: Apply a moisturizer 5 to 10 minutes before you start with your makeup routine. 2. Primer: Primer is a base for your foundation. It allows the foundation to smoothly glide on your face. 3. Foundation: Foundation evens out your skin tone. It should match with the rest of your skin tone though. 4. Concealer: A concealer of the same shade as your foundation covers your blemishes, dark spots, and redness. 5. 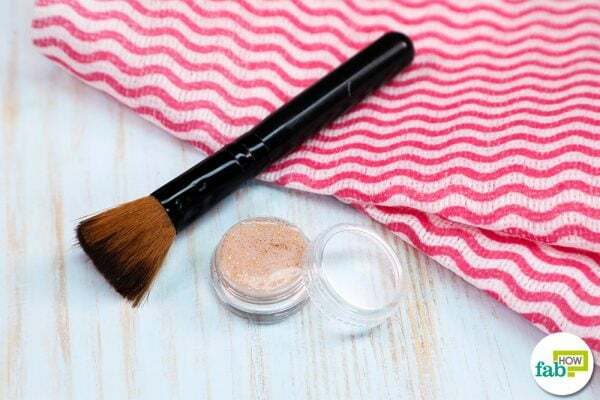 Setting powder: A setting powder sets your makeup in place. 6. Eyebrows: Next in line is your eyebrows. Do them before you start applying eye makeup. 7. Eyeshadow: After you are done with your eyebrows, apply eyeshadow. 8. Eyeliner: Always apply eyeliner after eyeshadow. 9. Mascara: Mascara comes after the eyeliner. 10. Bronzer: Bronzer is a part of your base. It tans your skin. 11. Blush: If you apply blush after your eye makeup, you can match the blush to your eyes. 12. Highlighter: Apply highlighter to high points on your face to create dimension and glow. 13. Lipstick: Lips are the last step in applying makeup. You can use a matte lipstick or a simple light glow, but if you want it to last long, always apply it at the end. 14. Setting spray: A setting spray will help your makeup stay in place and last longer. It also gives a dewy finish to your entire makeup. You can skip this if you have a long-lasting foundation.